Cook pasta to desired doneness as directed on package, adding peas during last 3 minutes of cooking time. Drain; rinse with cold water to cool. Drain well. 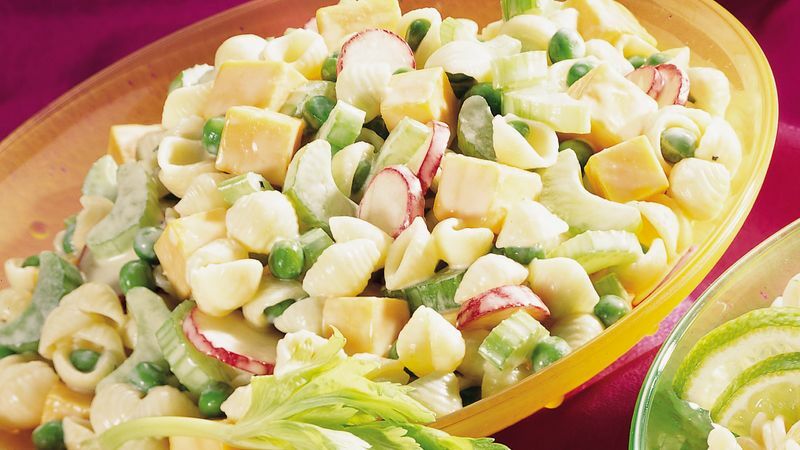 In medium bowl, combine cooked pasta and peas, and all remaining salad ingredients. In small bowl, combine all dressing ingredients; blend well. Add to salad; toss gently to coat. Cover; refrigerate 30 minutes to blend flavors.